Has the cleaner living Zakk Wilde mellowed on studio album number eight? Although the album boasts three so called 'ballads' and Zakk showing his affection for the piano more and more with each subsequent release, the answer is a resounding "no". 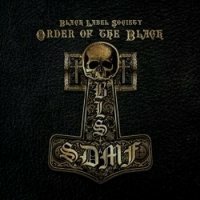 “Order of the Black” is both brutal, and beautiful at the same time and to these ears is the most complete and mature work the band have submitted to date. Kicking of proceedings is the head crushing “Crazy Horse” a bombastic an opener as you could imagine, yet with enough melody to keep me entertained. “Overlord” contains that distinct sound which the group are instantly recognised for, thunderous drums and pounding bass and Zakks trusty Gibson dishing out licks all over the place. What did surprise me was how the vocals sound like his previous employer and the ballad “Darkest Days” will have people flicking through the booklet to see if Ozzy has guested on this release. “Time Waits for No one” shows the maturity that I mentioned earlier and sounds like a modern “Mama I’m Coming Home” this song alone should make a few people stand up and take notice. The European version comes with a bonus track a cover of Blind Faith’s “Cant Find my Way Home” which rounds up a very enjoyable album. 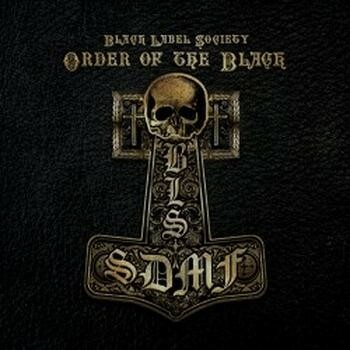 If like me you always thought the band were a touch one dimensional think again as “Order of the Black” has proved otherwise. Ratings: The higher, the better.